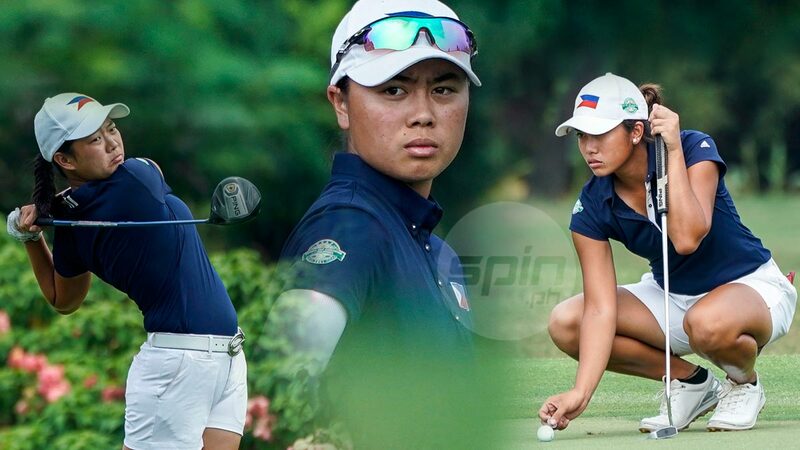 LK Go, Yuka Saso and Bianca Pagdanagan delivered huge for the country in the Asiad. GOLF gets a piece of the limelight in the SMC-PSA (Philippine Sportswriters Association) Annual Awards Night two weeks from now at the Manila Hotel. The National Golf Association of the Philippines (NGAP) is set to be recognized as the National Sports Association (NSA) of the Year, while longtime sports patron Enrique Razon Jr will be conferred the Executive of the Year by the country’s oldest media organization during the Feb. 26 gala presented by MILO, Cignal TV, and the Philippine Sports Commission (PSC). The NGAP, under the leadership of businessman-sportsman Martin Lorenzo and secretary-general Bones Floro, produced half of the four gold medals the country won in the 18th Asian Games in Indonesia courtesy of Yuka Saso in the women’s individual and the women’s team where Saso teamed up with Bianca Pagdanganan and Lois Kaye Go. Pagdanganan also bagged the bronze in the women’s individual competition, making it a 1-3 finish for the Filipinas, who emerged the overall champion in the sport by edging out Japan for the title. It was also the first time in 32 years that golf won a gold in the Asiad. Ramon Brobio ruled the men’s individual competition during the 1986 edition in Seoul, South Korea. The gold haul had Saso and the women’s team being named co-winner of the coveted PSA Athlete of the Year Award along with weightlifter Hidilyn Diaz and skateboarder Margielyn Didal in the event presented by the Philippine Basketball Association, Mighty Sports, ICTSI, SM Prime Holdings, Tapa King, Rain or Shine, NorthPort, Chooks To Go. The 58-year-old Razon on the other hand, has been known as an avid golfer and major supporter of the sport in the country by way of the Philippine Golf Tour, which is being bankrolled by the International Container Terminal Services Inc. (ICTSI) of which he is chairman and chief executive officer. A known philanthropist, Razon extends help to the country’s amateur golf development through the ICTSI-The Country Club Program. An ICTSI-backed basketball team, composed mostly of players from La Salle where Razon graduated with a degree in Bachelor of Science in Business Administration, also saw action in the defunct Philippine Basketball League. Razon is also a chief backer of La Salle sports, with the sports complex on Taft Ave. named in honor of his father Enrique M. Razon. He now joins the ranks of esteemed sportsmen and businessmen such as Ramon S. Ang, Manny V. Pangilinan, Wilfred Uytengsu, Hans Sy, Dan Palami, Ricky Vargas, Judes Echauz, Chito Salud, among others who were once honored with the Executive of the Year award by the Philippine sportswriting fraternity. Razon and the NGAP make up part of the total 75 awardees included in the 2018 PSA honor roll list.